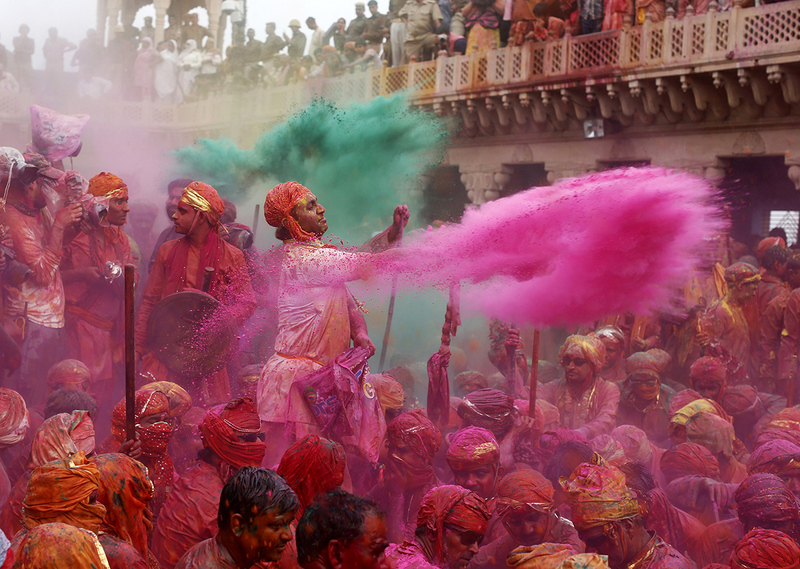 There’s nothing quite like celebrating Holi in India especially in Rajasthan . 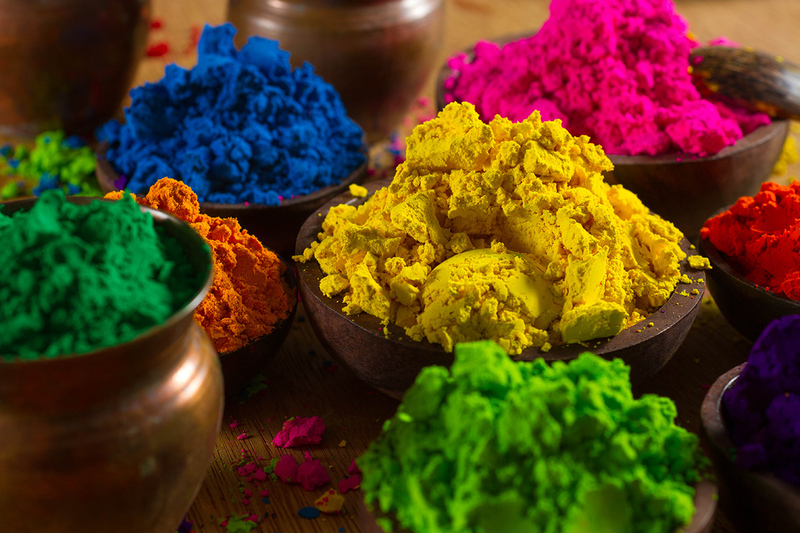 With winter tucked away, this spring festival is the time when finally everyone comes out of their cocoons.Holi is a Hindu spring festival celebrated in India and Nepal, also known as the “festival of colours” or the “festival of love” The festival signifies the victory of good over evil, the arrival of spring, end of winter, and for many a festive day to meet others, play and laugh, forget and forgive, and repair broken relationships ..It lasts for a night and a day, starting on the evening of the Purnima (Full Moon day) falling in the Vikram Samvat Hindu Calendar month of Phalgun, which falls somewhere between the end of February and the middle of March in the Gregorian calendar. This year I have celebrated Holi with my friends on March 13th in Pink City Jaipur. On the eve of Holi, on March 12th we went to Johari Bazar in Jaipur for looking at the Holi colors shopping and exactly at 6 pm we have lighted in a Jaipur residential neighborhood the Holika bonfire which symbolizes the triumph of good over evil.. Than headed to our hotel Rambagh Palace, where huge bonfires were lighted together with singing, dancing and the traditional beats of dhol add to the merriment. 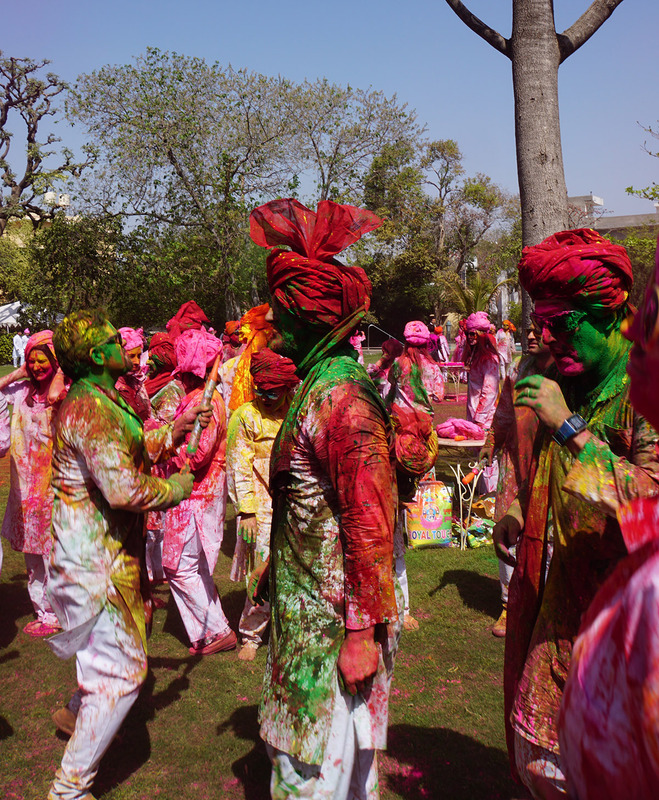 Next day it was time to get colored .. We headed to Narain Niwas Palace gardens to celebrate it with our friends. Everyone was offered a welcome drink and a white kurta & pajama.. In the gardens of this noble’s house there were live music, dance, drinks and mouth watering delicacies. 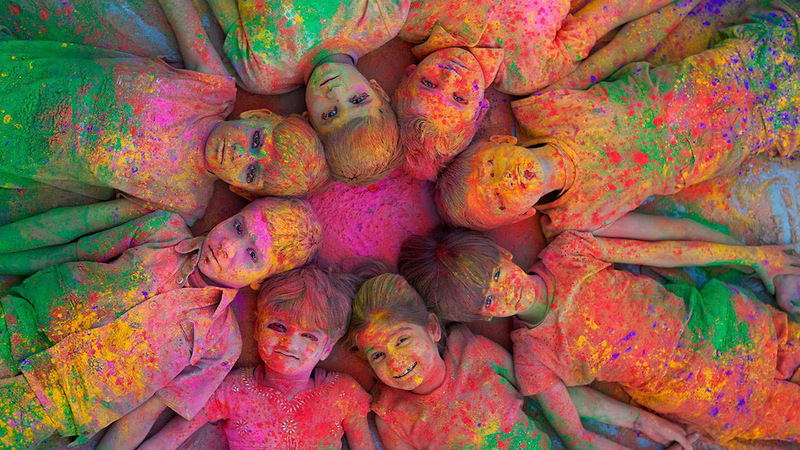 We smeared colors and splash water on each other, with pichkaries (water guns) and water balloons. 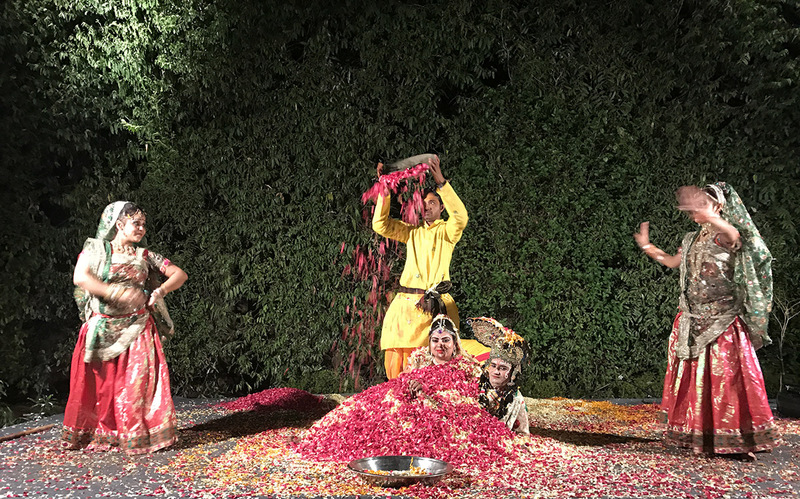 Afterwards wit was time to celebrate the festival on the streets of Jaipur with locals, smearing colors to everyone and sang and danced to the beat of the dholak.